Dr. Martin received his BS and MD degrees from the University of Washington and has been a member of its faculty since 1957. After an internship at the Montreal General Hospital and a residency in anatomic pathology at the University of Chicago, he pursued postdoctoral research in somatic cell genetics under Professor Guido Pontecorvo at Glasgow University. Other postdoctoral experiences have included research in molecular biology with Francois Gros in Paris and in experimental embryology with Henry Harris and Richard Gardner at Oxford University. He has also done medical genetics fieldwork in India. 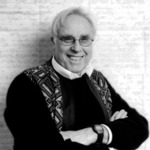 Honors for his research have included the Brookdale, Kleemeier and Paul Glenn Foundation awards of the Gerontological Society of America, the Allied-Signal Corporation Award, the Irving Wright Award of the American Federation for Aging Research, the American Aging Association Research Medal and Distinguished Scientist Award, and a World Alzheimer Congress Lifetime Achievement Award. He has also received an Outstanding Alumnus Award from the University of Washington School of Medicine. He was elected to the National Academy of Medicine and now serves as a Senior Member. Dr. Martin was a member of the National Advisory Council and the Board of Scientific Counselors of the National Institute on Aging. He served as a Past President of the Tissue Culture Society of America, the American Federation for Aging Research and the Gerontological Society of America. Dr. Martin’s research career has been devoted to the use of genetic approaches for the study of basic mechanisms responsible for biological aging and age-related diseases.